My dad and I were left home with no one to feed him but me, so I made a bunch of meatballs in marinara sauce to make meatball subs. We had this giant bag of hoagie rolls and the first thing I thought of to use them for were these subs. Since I didn't really want to go to the grocery store and buy anything else for this recipe, I just used some frozen ground beef we had and a recipe from my new Joy of Cooking cookbook. They turned out awesome and we had dinner for two nights in a row! The first sub I consumed, I ended up making another! Here's the recipe adapted from the Joy of Cooking. 1. Mix it with for hands. Scoop out the mixture in heaping tablespoons and form into 2-inch balls. 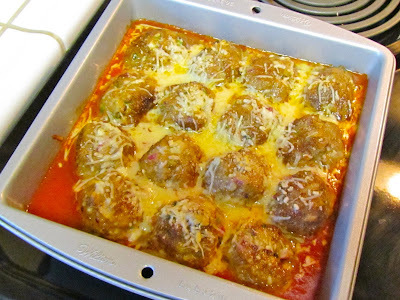 Dredge the meatballs in the flour. Heat the olive oil in a large skillet over medium heat. 2. Brown the meatballs in batches. Place in a baking pan with the marinara sauce and cook in a preheated 375 degree oven for 10 minutes. 1. Lightly toast the split hoagie rolls under the broiler. 2. 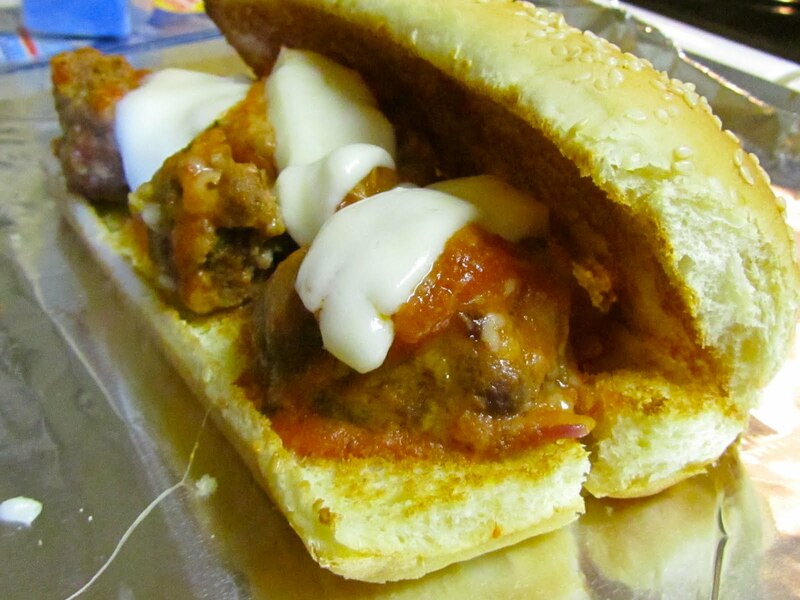 Top with the meatball and marinara mixture and then the cheese. 3. Place under broiler until the cheese melts.